Though we’d worked with Jovial to create their Culinary Getaways website, we were delighted and excited when they asked us to create product packaging for them, as well. This required close attention to detail, as every word and image is magnified in importance on physical labels. There are also logistical constraints with regard to layout and amount of content. We first worked on packages for existing products: tagliatelle, brown rice, gluten-free lasagna. Then we created designs from scratch for new products: olive oil and tomatoes. 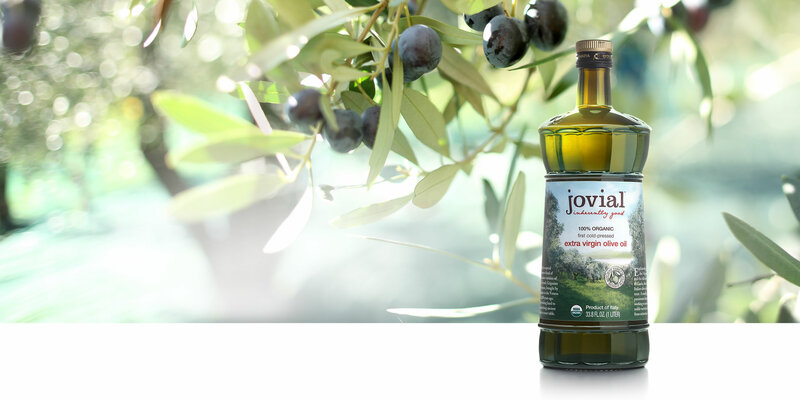 Jovial’s olive oil, which is manufactured by the renowned Italian brand Redoro, presented our design team with an interesting challenge. We also had to design the box in which the bottles are contained. 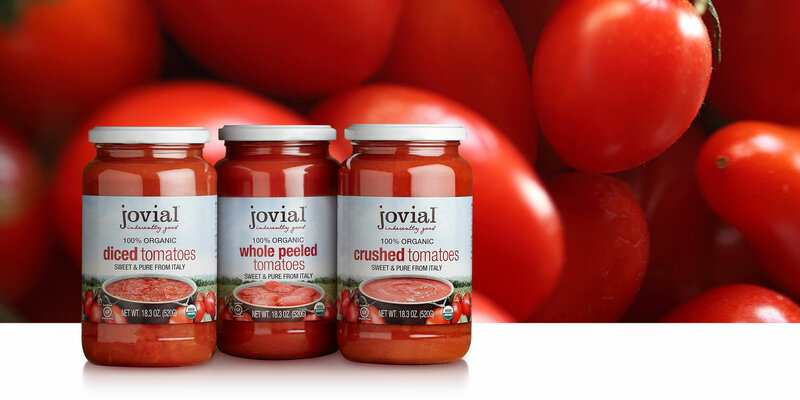 To reflect Jovial’s commitment to transparency and nature, we hired a photographer to capture the fields where their products are grown. These photographs were the foundation for our illustrations on both the bottle and the box. Within one month, everything was complete— and we even helped choose the cap for the bottle. We created labels for three types of tomatoes— diced, crushed, and whole peeled— that are stocked nationwide by Whole Foods. We took photograph after photograph of the tomatoes— and, as with the olive oil, modified the best shots to make them look like illustrations.